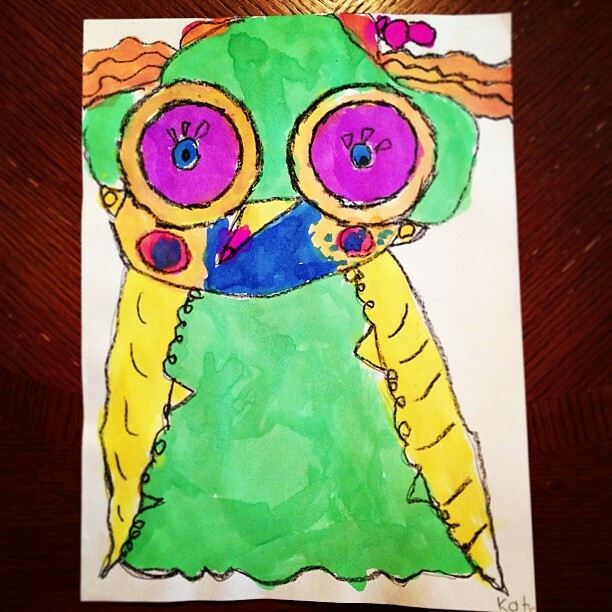 Kids draw & paint a lot of things that parents end up putting on the refrigerator, but for some reason I really, really like this crazy owl that Kate painted. I find the combination of colors to be really cool. Home » Blog » Family » Kids draw & paint a lot of things that parents end up putting on the refrigerator, but for some reason I really, really like this crazy owl that Kate painted. I find the combination of colors to be really cool.